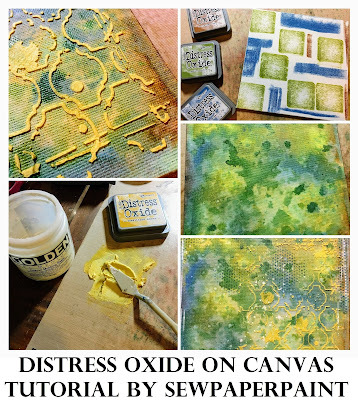 Distress Oxide, what a buzz word in the crafting world these days! Autumn here today to share an experiment with Distress Oxide ink pads on canvas. I hope you will enjoy this fun tutorial, please pin it for future reference. 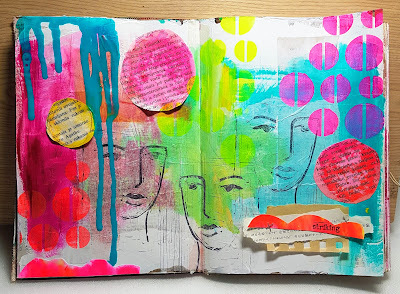 First of all, we learned from Tim Holtz that we should not touch our ink pads to other colors of Distress Oxide because the pads will "contaminate" and muddle. I applied my pads directly to my canvas board in a grid like pattern to prevent this, hence the white space you see. I used Peeled Paint, Faded Jeans and Vintage Photo. Next, I spritzed the panel thoroughly and let the colors pool and blend, using my finger as needed to remove any hard lines. I was able to move the colors along and blend with water until I heat set my panel, which surprised me! When I had used Infusions onto a canvas panel, they remained water activated throughout, Distress Oxide (DOX henceforth) became more permanent (not completely, but more). Water flecks did not completely remove the ink as it had with my Infusions experiments. This made me happy! I sponged Distress Ink (DI) onto the edges of my panel. I wanted to add more earthy green to this very yellowy canvas (which came from the Peeled Paint), so I dipped it into some puddled Cracked Pistachio. 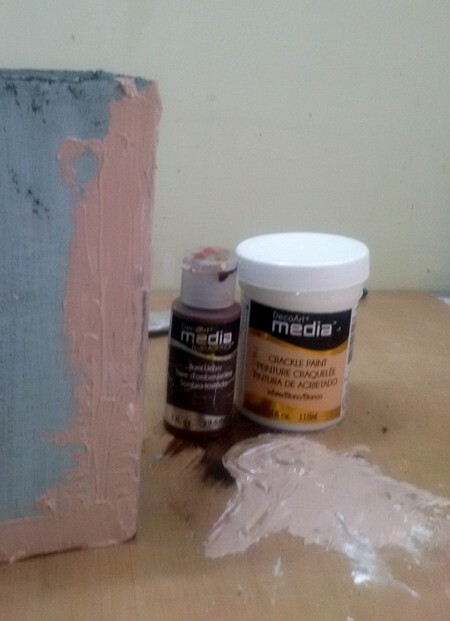 Now for my favorite new concept, coordinating Distress texture paste! I have on several occasions tried to color my texture paste with regular DI, but it causes seepage and makes me sad. Because DOX is not "wet" the same way as DI, I decided to give it a go. It tints your texture paste ever so beautifully and does not loose vibrance as it dries. To me, this is revolutionary! 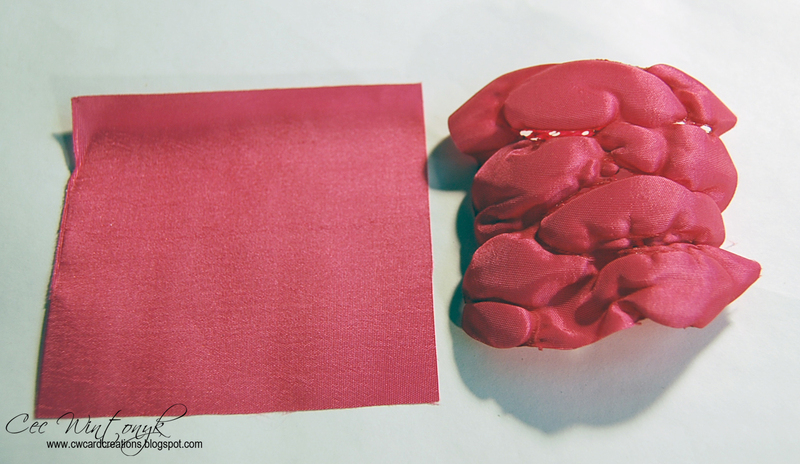 Imagine creating perfectly coordinating texture paste for every project, in any color! YES PLEASE! I used Fossilized Amber to bring in some highlights. It's funny how much it resembles the Peeled Paint in the background, but there are many color variations in DOX, which is part of the magic. Here is my completed background. 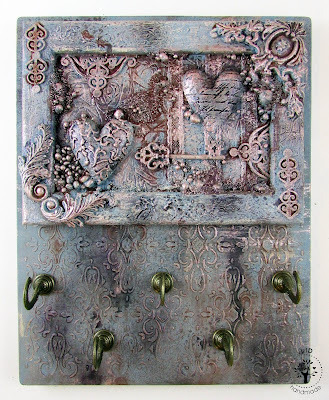 You can see flecks of watery gesso and how that reacted to the colors and stamping in DOX, lightly spritzed to activate the oxidization. Below is a peek of my finished canvas. Find all of the closeups and details on my blog today HERE. 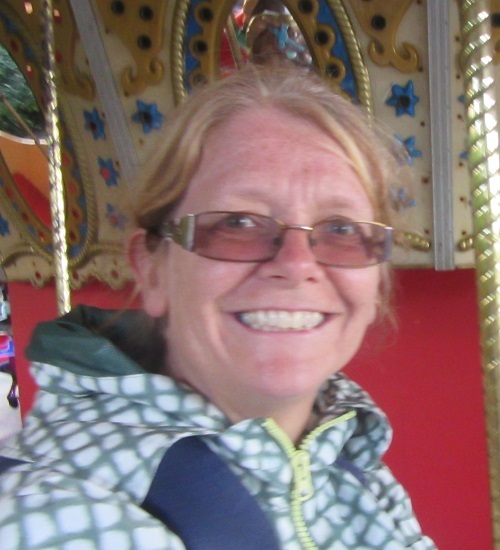 I hope you will have a go at this process and would love to see your finished work. Leave me a comment with a link. 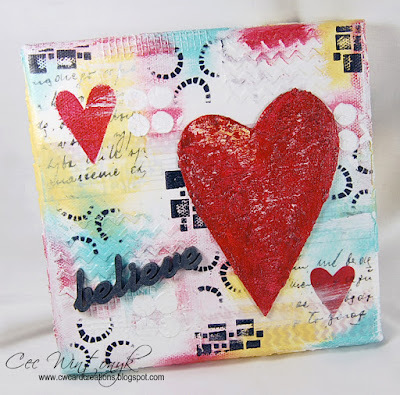 <3 And remember to submit your project to our Texture, Crackle and Paint challenge before March 1. 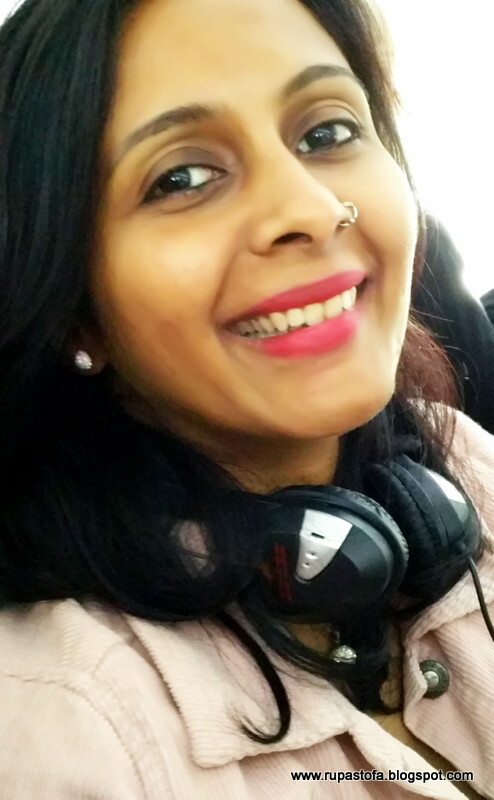 Please say hello and give a warm welcome to our Guest Designer for this month, Rupa of Tofa (Together for Arts). I am Rupa (45yrs) from Bangalore, India, married and blessed with 2 kids (a son and a daughter). 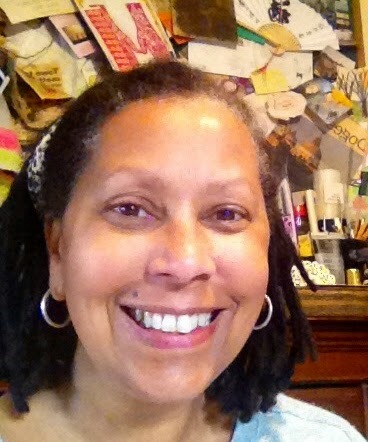 My interest in arts started when I got married and had to set up my own house. I had a flair for interior decoration but no formal training, which is when I started learning various forms of art and painting just to decorate “my home”! After the birth of my first son (a child with special needs) I was forced to be a stay at home mom and that’s when my passion and hobby became work too. I started taking art classes from home and have been doing so last 15 yrs and still do. My son now is 17 yrs and I have a 7yr old daughter too and my entire family is very supportive of my passion. My entry into crafting was 4 years back. 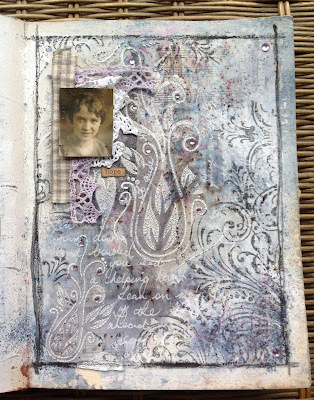 I discovered my style was Vintage with lots of textures and most importantly, altered art. 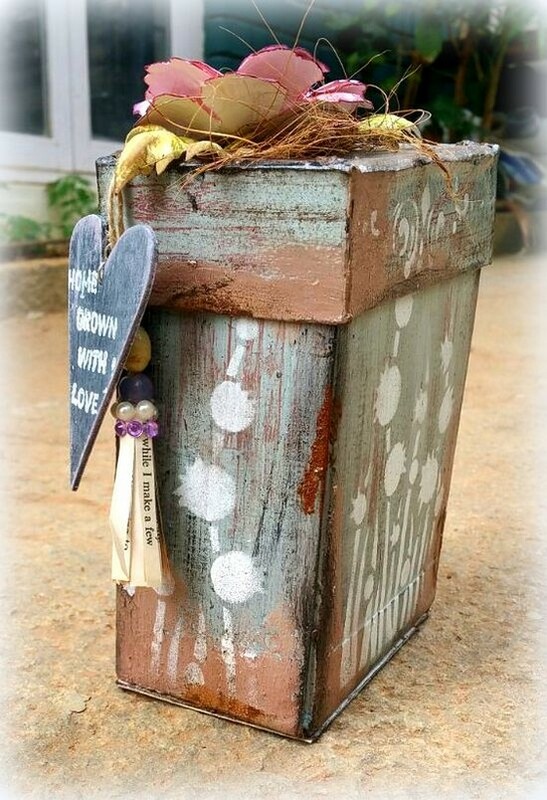 My unique selling point is up cycling and have hoarded a lot of trash at home and they all get their time to get pampered and have a new lease of life. I see a canvas in any neglected item or house hold trash and love giving them a makeover. These not only serve as home decor items but also have a utilitarian value! Now that’s living your second life to the fullest! A deserving re birth, what say??? I am glad to share with you my Guest design post with Stamps and Stencils. 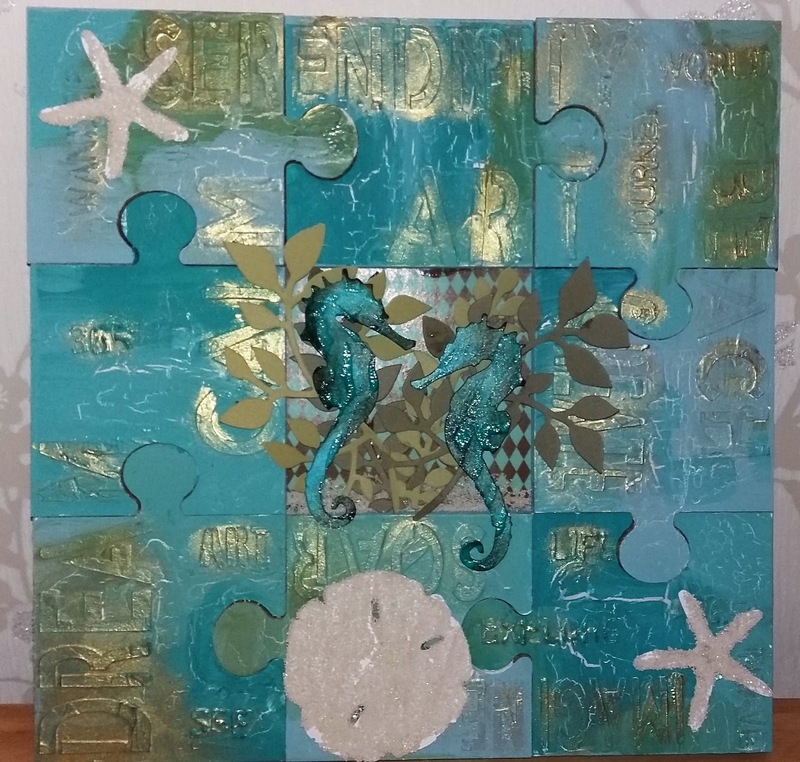 This is indeed a great honor for me and I enjoyed making this to suit their current challenge theme, PAINT, TEXTURE and CRACKLE. 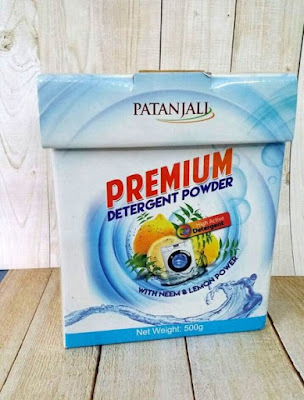 I love all the three things in the challenge and I had to of course use a recycled item to satisfy my creative soul and so used this empty detergent box . 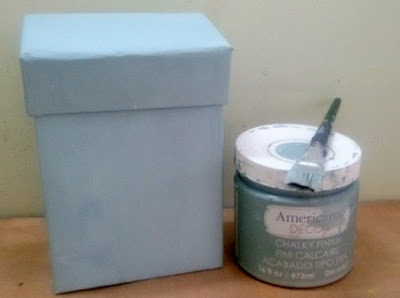 I scraped the box a bit with sand paper and gave it 2 coats of Deco art chalky finish paint (Vintage). It’s a lovely color very rustic and vintage, not too bright just perfect for what I had in mind. 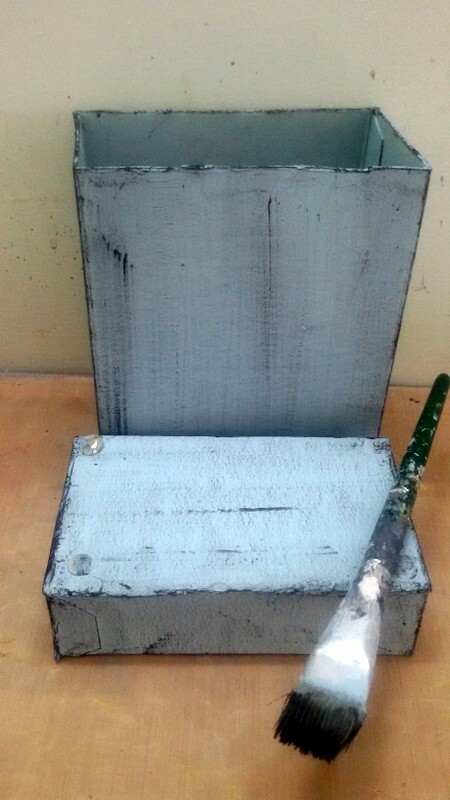 I did some dry brushing with black gesso just to highlight the texture and give it a weathered look. 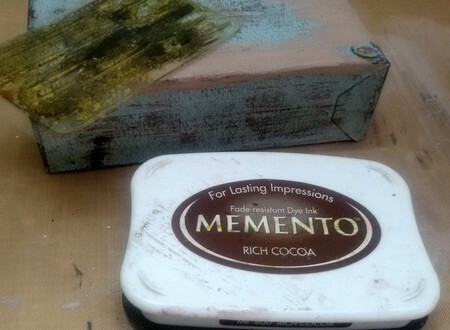 Then came the crackle paint from Deco Art, to which I added some raw umber acrylic paint and then spread it on the sides of the box. I left is to dry naturally and then appeared the fine cracks. 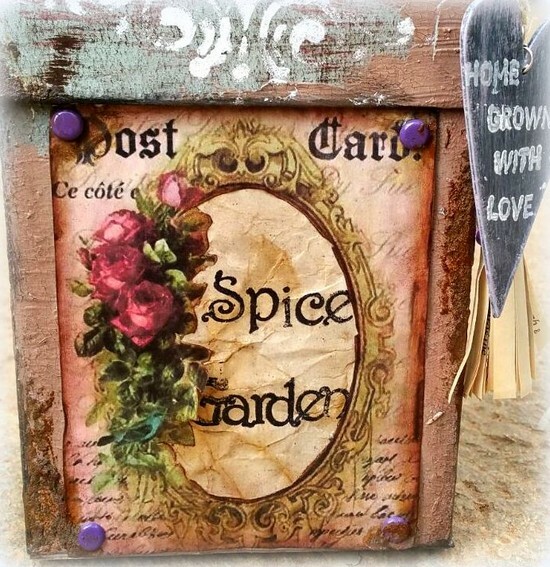 I used the wood grain stamp and some brown ink to add more texture and character to the box. 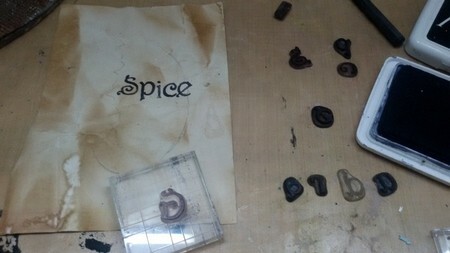 I had a piece of coffee stained paper in my stash and using the individual alphabets stamp set, I stamped the words “SPICE GARDEN “ on it. I hope you get a hint on what I am making now, lol! I also had this vintage post card image to which I attached the stamped paper. This is the front label on the box. I fixed it to the box with a few brads and then applied some rust powder with vinegar on it to give it a rusty old look. 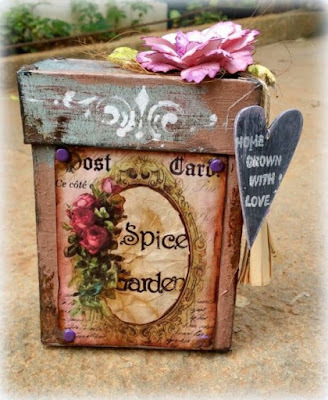 I have used paper artsy stencil and white paint to stencil this floral pattern on the sides of the box. The edges of the box have inked and distressed with archival brown ink and I have sealed it with Ultra matt varnish from Deco Art. 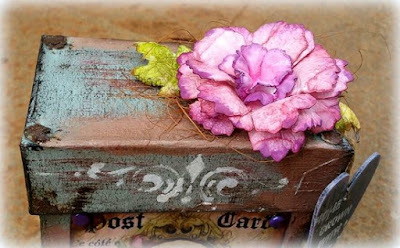 On the lid, I have this floral embellishment, a handmade flower using TH tattered florals die. I also have used the alterations heart die cut which I have painted in black and dry brushed with white paint. The paper tassel too is handmade using old book page and some beads from the stash. The box is now complete. This is what you see when the lid is opened…. A bunch of recipe cards tied together with a red synthetic bow! 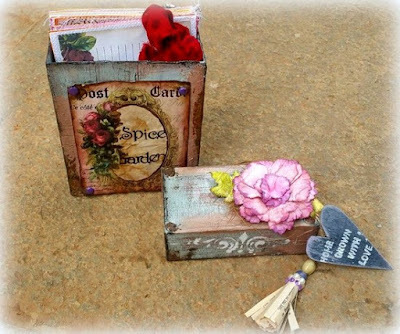 The idea was to create a vintage recipe box where I can store all my favorite recipes. This project is a valentine gift to myself! It is Cec here and I am bringing you some information on a different way of getting texture onto your project. 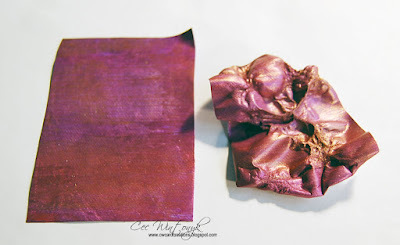 I am calling this Melted Textures and am showing you a variety of things that change and become really cool looking when you take a heat gun to them. This is just a technique post and because I was running out of time, I don't have a project to go with it but promise I will use something from this in a future project. 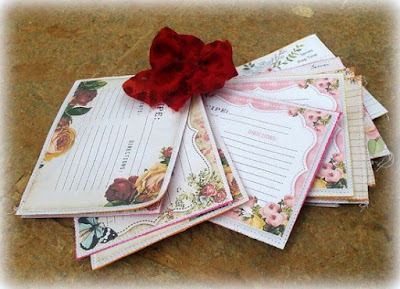 Before I start, I need to remind you that you must have a heat resistant kraft sheet on your work surface to protect it and do not touch your media until it has cooled down. 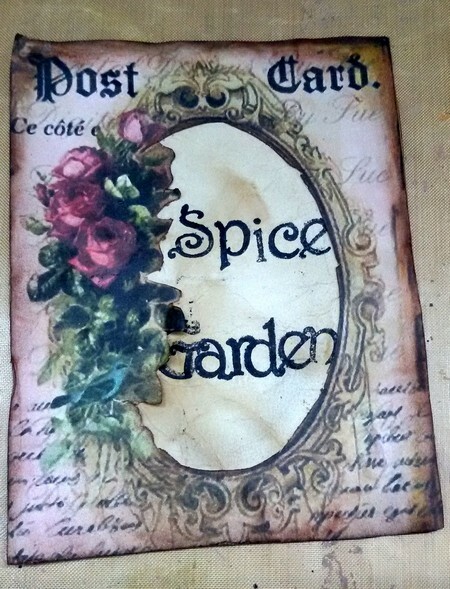 When I started this project I really had only thought about doing something with TYVEK but then I got playing and tried melting lots of other things. 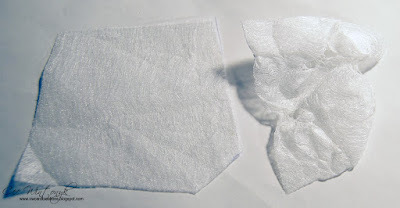 So this is TYVEK and it is available in sheets and envelopes. I first painted one side with some metallic paints. Then I turned it over on my kraft sheet and waved my heat gun over it. As it melts, it forms craters on the side that you are heating, which become bubbles on the opposite side. It is important to note how it melts in case you want to paint it. TYVEK also accepts rubber stamps with Archival Ink so you must do that before you start melting. In this case I decided I wanted bubbles, craters and holes on the painted side so I just kept turning it over and heating until I got the effect I wanted. Next I decided to see what would happen to fabric. 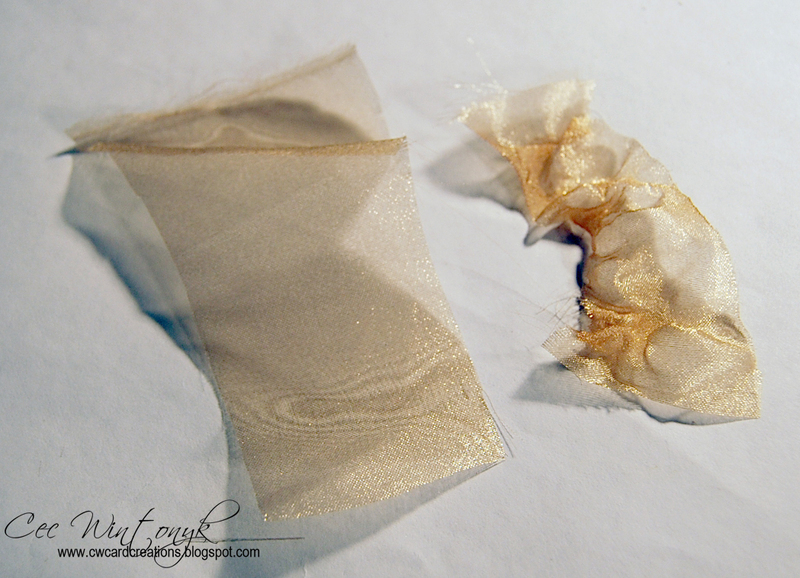 I think the resulting fabrics would be great on a stitched collage or even a canvas collage. I have used lining fabric to make flowers in the past but have just waved the petal edges above a flame and watched the edges curl. This time I tried lining fabric with my heat gun. This is polyester and comes in a ton of colours and is cheap. As you can see melts beautifully to give lots of bubbles. I waved the heat gun back and forth over the top of the fabric and at least an inch above. 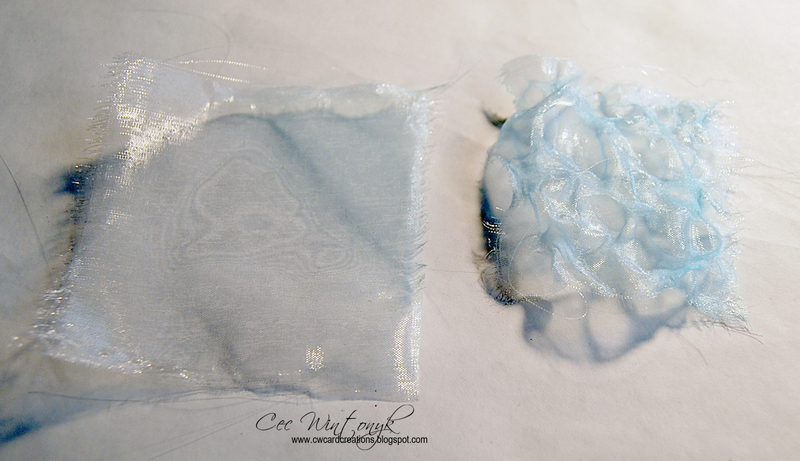 Next I tried some lightweight woven interfacing (not the kind that is iron-on) and it made bigger bubbles. Again, I waved the heat gun over it. I don't really like it but it did work - sort of. This is organza and I waved the heat gun over it. It was successful and would be nice on something stitched. 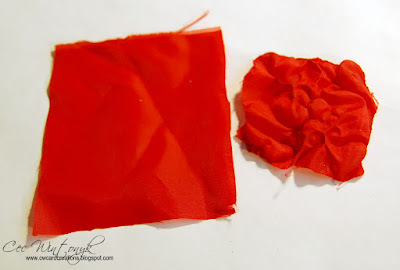 I have layered this organza with some of the lining fabric to make flowers. This is also organza from a package of two round tablecloths that I got for 25 cents at a wholesale warehouse on a visit to Fancy Gap, Virginia. This time I not only waved the heat gun over it, I also moved the heat gun vertically up and down over it - DO NOT TOUCH IT WITH YOUR GUN OR HANDS. I love the effect because it not only has bubbles, it has really great holes. This is taffeta and look at the bubbles (and a few holes) I got with this one. It reminds me of the Michelin Man. Taffeta is stiff so it would work really well on a collage. I didn't try stamping or stenciling on it but since it is such a tight weave, I bet it would work. This is cheap craft felt, the kind that comes in small rectangles from the craft store or fabric store. It does not give you lots of bubbles but when it melts, it shrivels up to become harder and wavy. It also give lots of holes depending on how much you heat it. Next I wondered what would happen if I painted it first. These are my failures but keep reading because I had a really great result when I did it a bit differently. I discovered that I liked it better when I painted it with colours that are close to the colour of the felt but you can paint it any colour(s) you want. 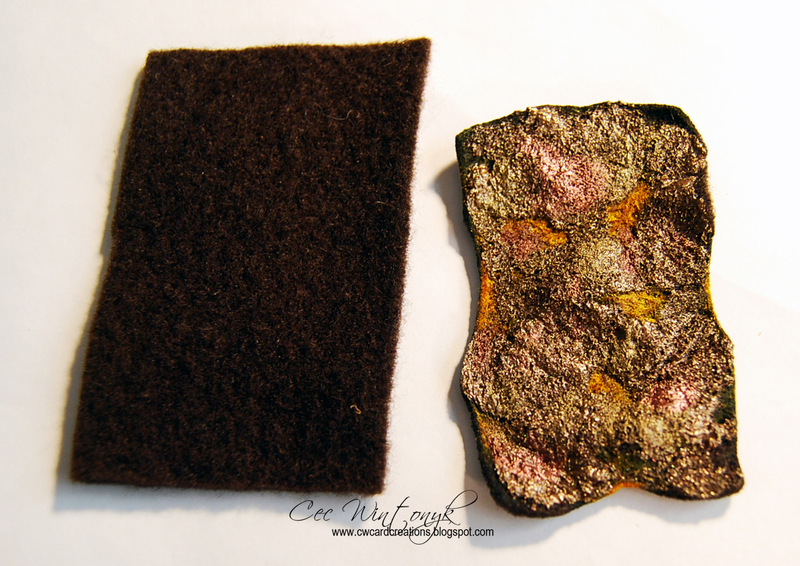 In the first photo I used some Espresso Metallic Paint on some brown felt. Make sure when you paint that you have sections connected because the felt should melt away in the areas not covered with paint and if you have gaps, it will fall apart. Next I decided to sprinkle on some gold and copper embossing powder and then I went at it with the heat gun. 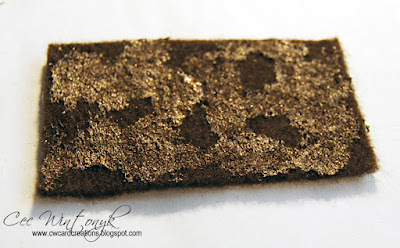 DISCLAIMER: I didn't have any brown craft felt and have no idea what the content of the felt I grabbed from my sewing cupboard was so it did not react quite the same way but it is cool and would have only had a few more holes with actual craft felt. Where you see a brassy colour is where they would have been because that was the unpainted felt. I suppose if I had kept heating it eventually would have made a hole but I was afraid of setting it on fire. This result is quite stiff and I want to make a larger one because I have some ideas on how I would use it. I hope I have inspired you to play with different fabrics and use the result in your creations. 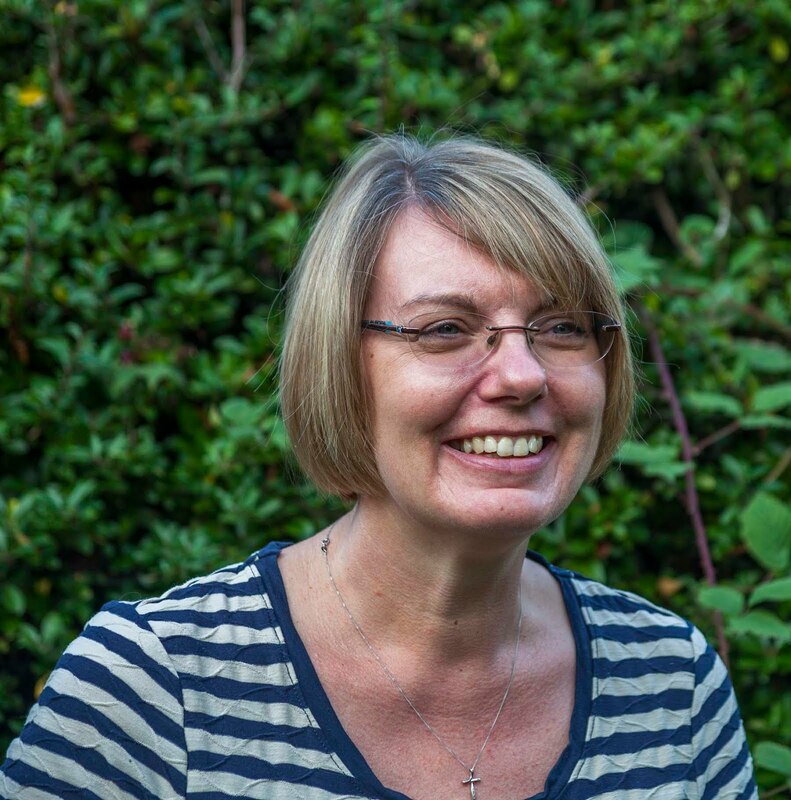 It is time to announce the winners from our Swirls, Whirls & Flourishes challenge. 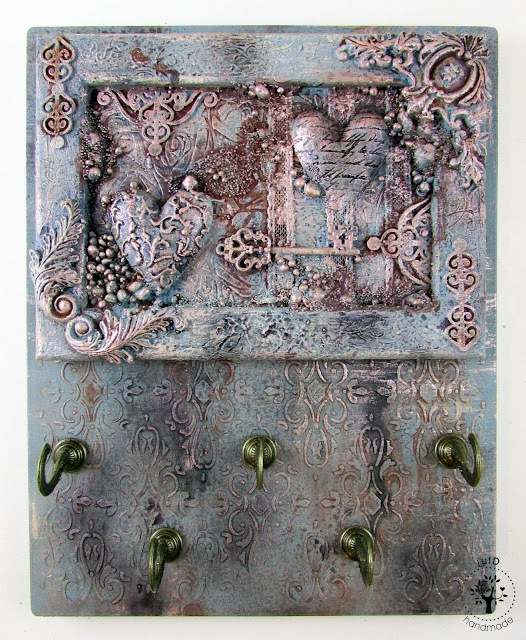 The Design Team chose this gorgeous key holder from Ioulia as their favourite. It is full of wonderful texture and makes a beautiful, and practical, home decor item. Congratulations Ioulia and Cec will be in touch with you shortly to discuss your Guest Designer spot. Congratulation ladies. Please email Cec at cwcardcreations@rogers.com to claim your Top Three badges. Hello all! 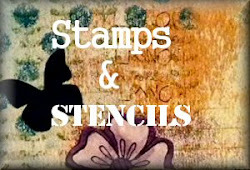 Rachel here hosting the new challenge at stamps and stencils. 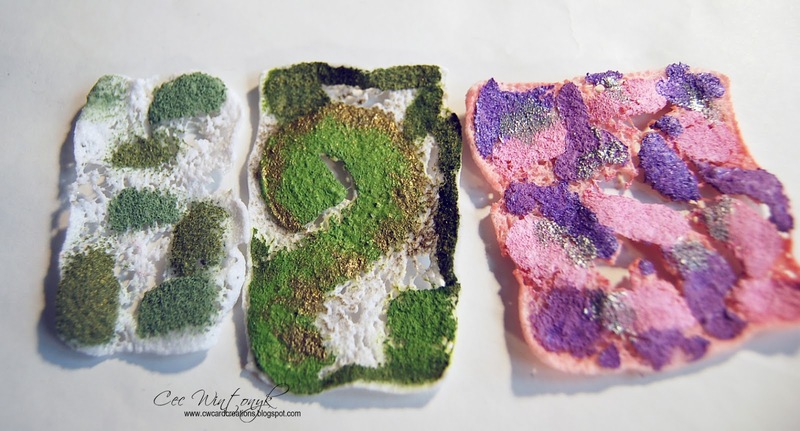 The theme for this month is texture, crackle and paint - my play on the words snap crackle and pop!!! I really hope you will enjoy joining in with us. 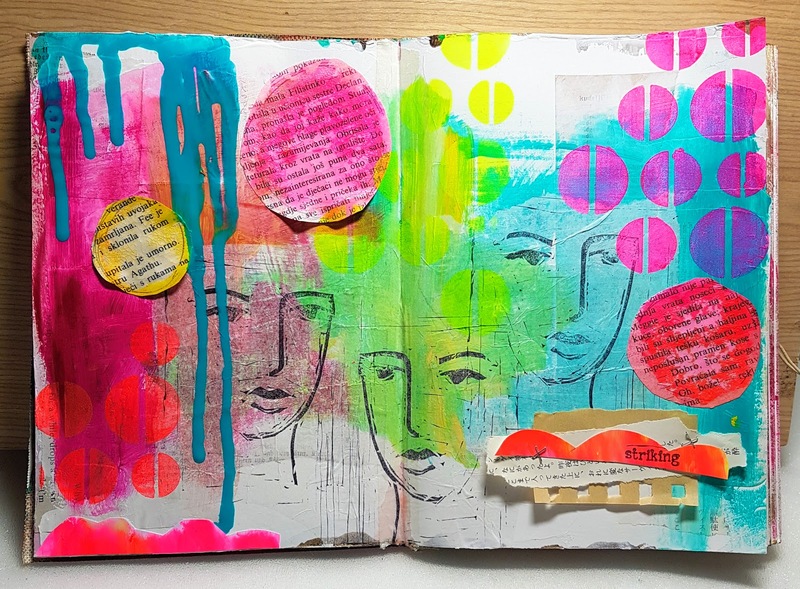 Please remember as well as following the theme we are a mixed media challenge and you should try to include stamps, stencils or both of them within your project. So here's some inspiration for you from my wonderful and talented colleagues.